Waldo E. Johnson, Jr. attempts to better understand the complex composition and inner-workings of fragile, non-traditional families. Serving as interim dean at SSA is truly one of the greatest honors of my professional career. 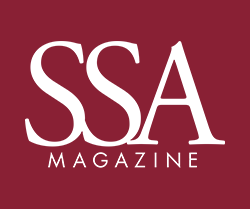 SSA has a distinct place—and has played a remarkable role in the history of the University of Chicago, in creating and defining the profession of social work, and in making the pursuit for social justice and equity a core mission of our research, training, and community engagement. In this conversation, SSA Associate Professor Jennifer Mosley discusses the role of foundations with Grace Hou, President of Woods Fund Chicago. Mosley studies how nonprofits use involvement in policy advocacy to more effectively support the communities or populations they serve. Woods Fund Chicago is a private grantmaking foundation focused on the promotion of social, economic, and racial justice by funding projects that draw on the power of communities to fight the brutality of poverty and structural racism. Poverty isn't a static condition. New research is showing how unstable life is for many low-income families. The School of Social Service Administration has invested in more than just a new source of caffeine and nourishment with the official opening of Try-Me's Café in the School this past fall. C. W. Chan, AM '71, helps set a course for the future of Chicago's Chinatown. As an overlooked and often invisible population, women have been dramatically impacted by mass incarceration. The 22nd annual Society for Social Work and Research (SSWR) Conference was held on January 10-14, 2018 in Washington, DC. SSA welcomes Assistant Professor Reuben Jonathan Miller; Assistant Dean for Civic Engagement Adrian Talbott; Israel Institute Visiting Professor Israel (Issi) Doron, PhD; and Dean of Students Sara Caroline Furr. Mark E. Courtney has been appointed the Samuel Deutsch Professor and Sydney L. Hans has been appointed the Frank P. Hixon Distinguished Service Professor. Remembering Evelyn Appell Lipkin, Betty Buchmann Paul, Mary Norton-Kindig, Lynn Urwitz Drew, Marilyn Koss, Jane Levenberg Gerber, Gordon S. Weniger, Edrith (Rohwer) Currie, Patricia Riley Johnson, Frances Gathings, Rick Kleinman, and Michael Schoder. Rhoda Gerard Sarnat, AM '39, died on April 14, 2018. She was 102.